Well that can depend on a number of things. Are you ready to be famous? Are your family ready for you to be famous? Do you have the energy to remain positive night after night when you meet fans at your concerts? Can you face the pressure of always having to better the last single or potentially get dropped by your record label? The above can be potential negatives to being famous but there are many positives and these usually come when you consider fame as a by-product to doing what you love – making music, performing music, recording music and being part of a musical family! 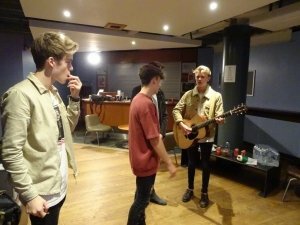 Recently we attended The Tide’s tour where our artist Josh Taylor was performing. His professionalism is outstanding and he knows how to treat his fans well, whilst still managing to keep to a busy, stressful schedule. But what’s it really like behind the scenes? Boys will be boys and the dressing room got more and more messed up as the night went on. Josh Taylor, New Hope Club and The Scheme all shared a large room and there was a lot of fun to be had. Lightsabers were brought out, remote control cars raced around the room, last minute practising went on and all of the acts were happy to help each other look the part, ready to go out on stage. But of course there are also downsides to being someone recognisable, someone in the public eye like all of these acts are…the simple task of needing to get a sandwich or going to the bathroom suddenly become impossible when you can’t leave your dressing room area due to the layout of the building meaning that you’d have to go through a line of fans to be able to get anywhere. Security guard the entrances and only those with passes get through. As for the main act, keeping the energy up can be even harder – aside from travelling from city to city each day and staying overnight in hotels, The Tide had their soundcheck at 2.30pm but were the last to go on stage at 8.20pm. Or having the adoration of the crowd as you perform your songs! 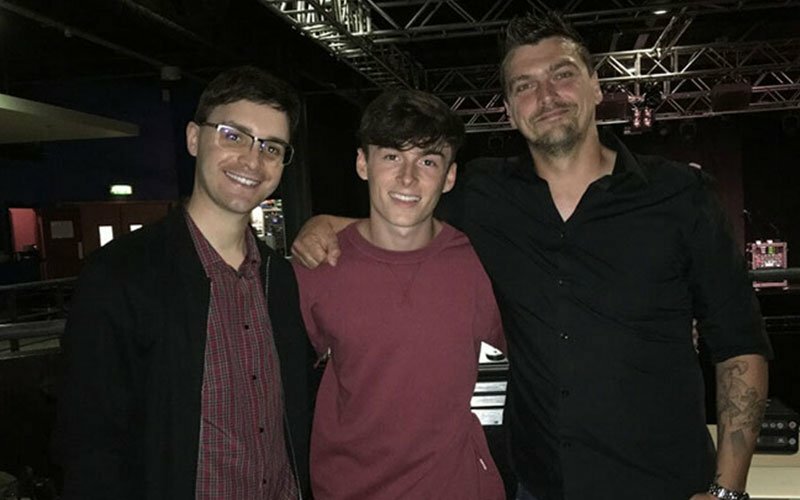 Saturday Night was written by 360 and we are proud to continue working with Josh Taylor as he goes from strength to strength. Josh now has over 143,000 likes on Facebook and this comes from hard work, dedication, treating his fans with respect and sheer determination to succeed. If this is what you want to do with your life then keep pursuing your dreams. Nothing happens overnight. All of the bands and artists who were present during this show worked incredibly hard to get where they were. You need to make sure you are at the top of your game with a strong voice, great performance skills, immense songs, a growing fanbase and a team behind you who believe in you. If you are lacking any of the above then an artist development programme is something you should consider. If you already have the above, then read our guide to getting a record deal. Finally, YouTube to pay more royalties to musicians Despina VIP To The Urban Music Awards 2017!